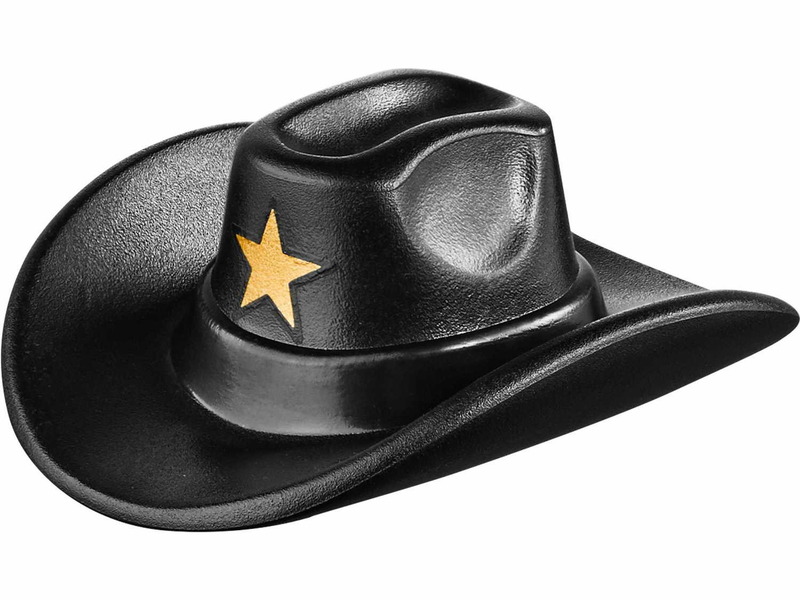 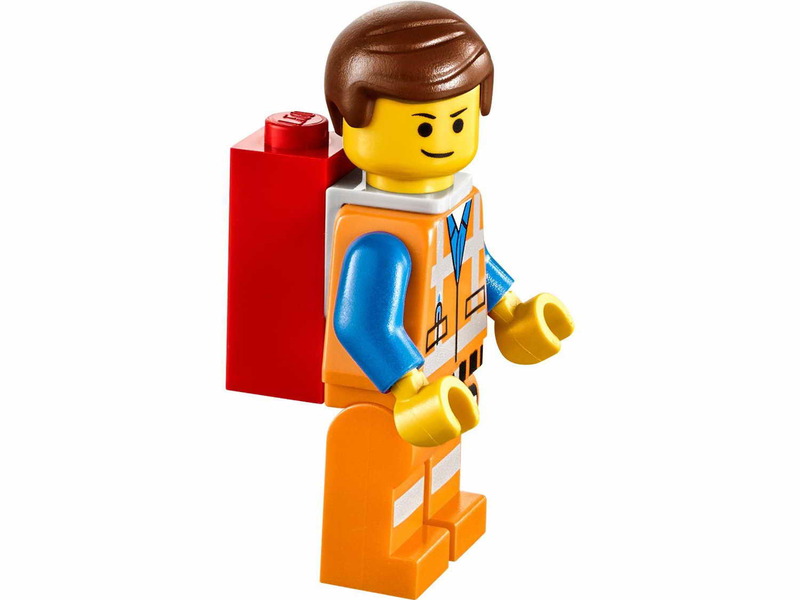 come with a getaway glider. 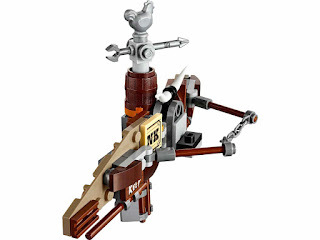 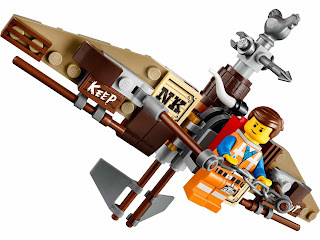 the glider has flappable wings, tail wings, a weathercock and cow horns. 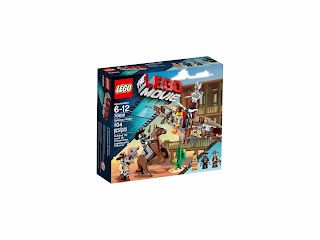 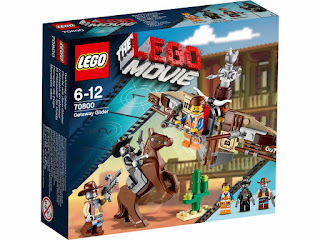 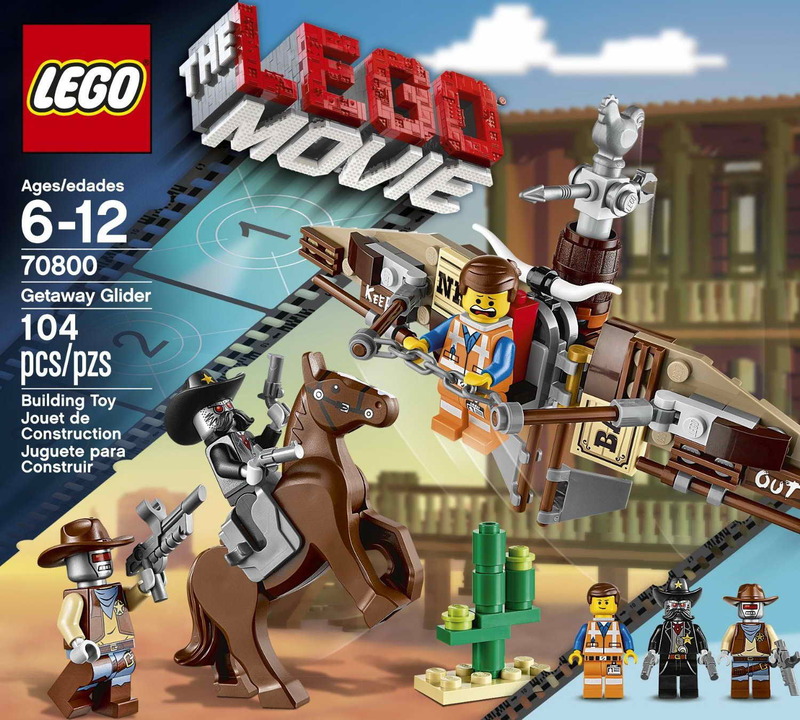 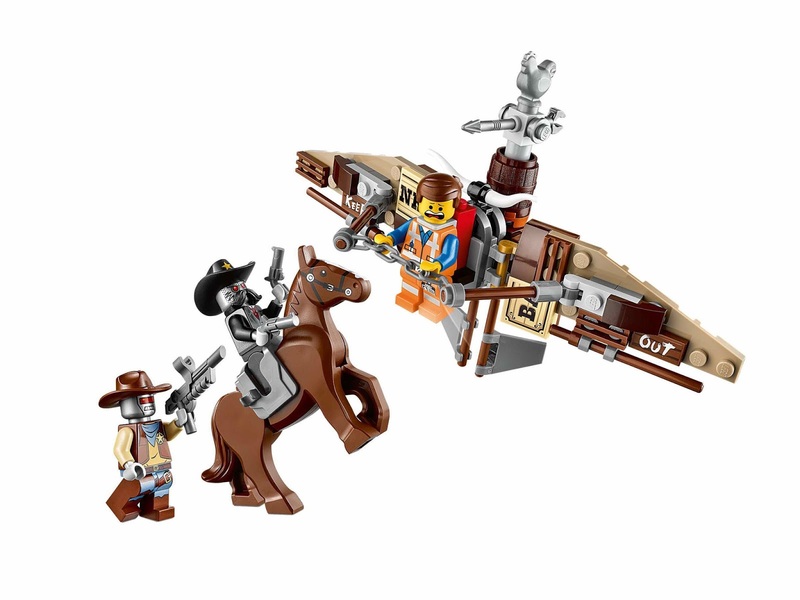 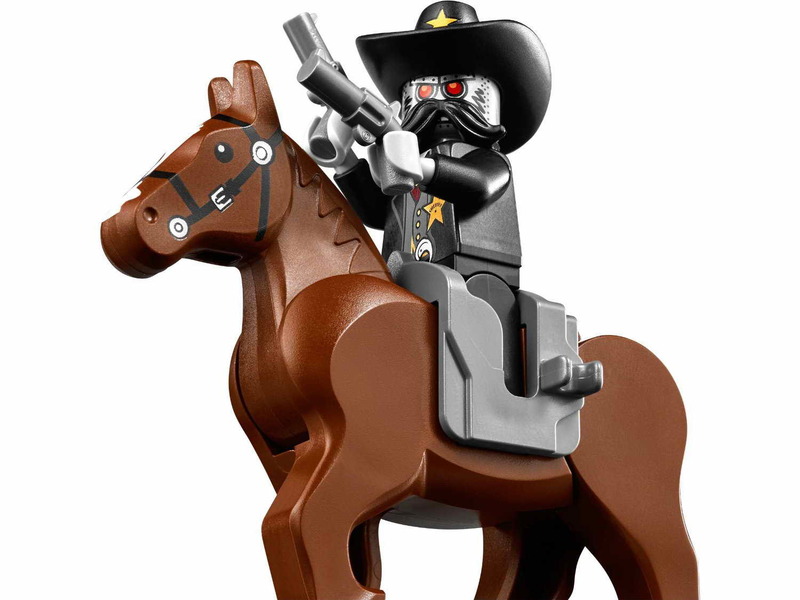 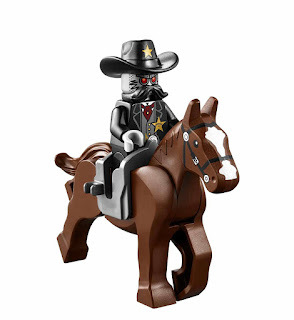 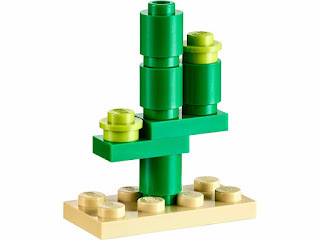 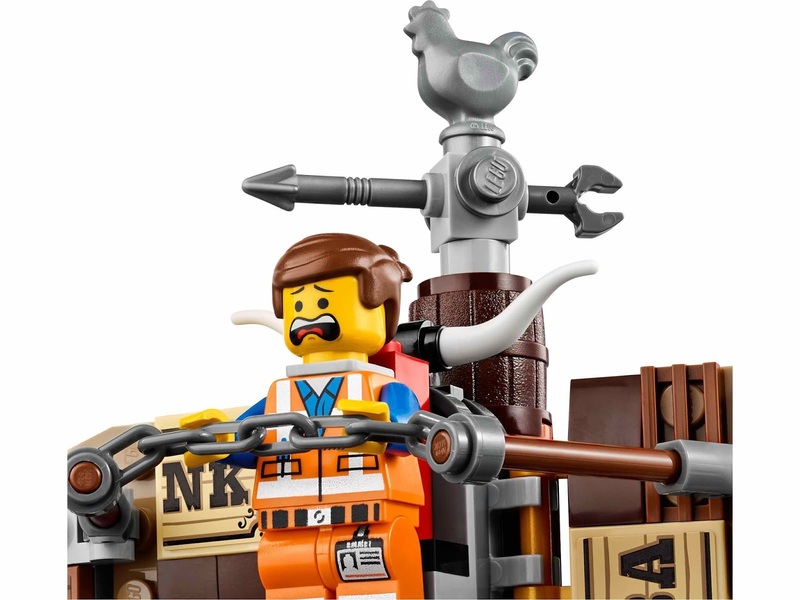 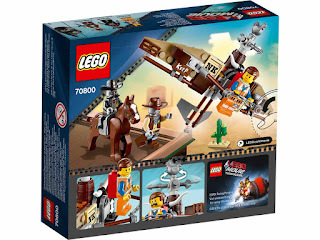 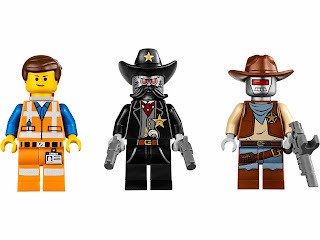 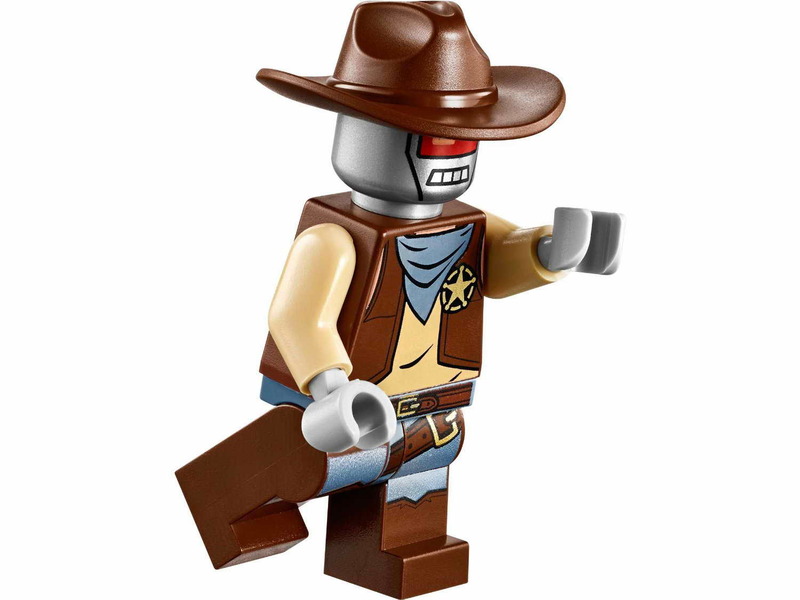 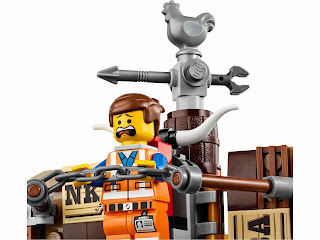 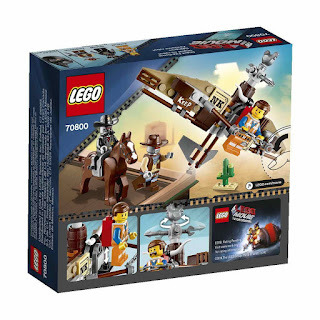 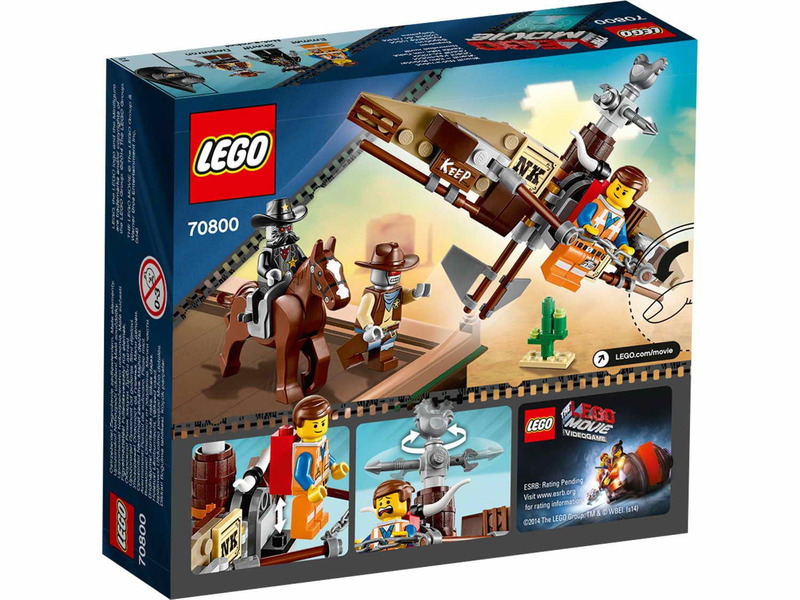 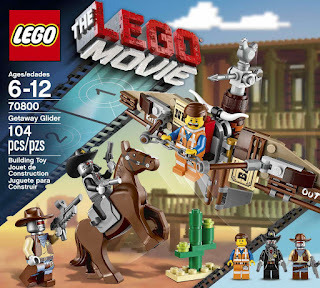 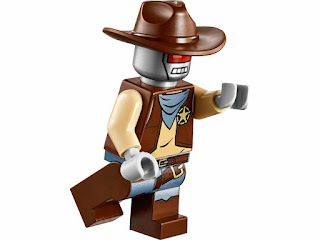 minifigs included an emmet minifig, a deputron minifig and a sheriff not a robot minifig.